Step inside The Library and be transported back to the glitz and glamour of the roaring 1920s. Located in the Marriott Hotel County Hall, The Library décor features oak bookcases stacked with the classics and adorned with busts of literary and historical figures. 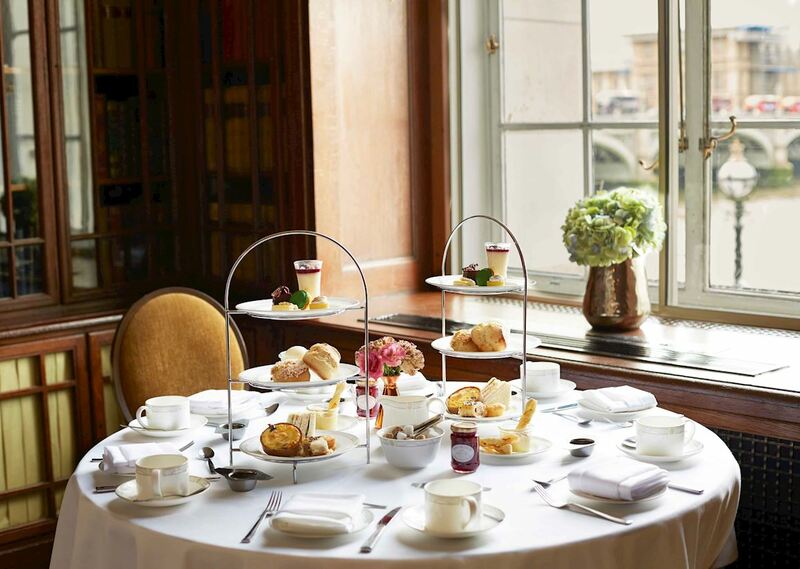 Indulge in history whilst enjoying spectacular views over the River Thames and Big Ben. 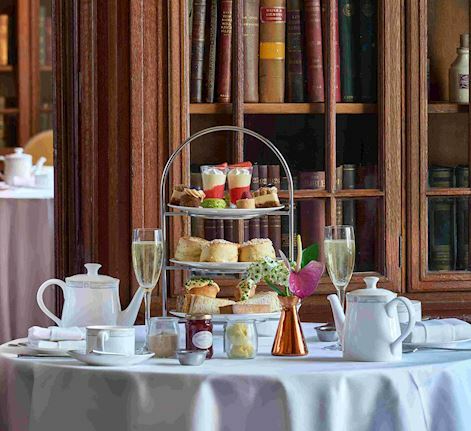 Traditional Afternoon Tea Afternoon tea features; freshly prepared treats filled with reimagined classics, irresistible arrangements of cakes and fancies, as well as sweet and savoury scones served with seasonal jams and artisanal cheeses. Refreshing fine leaf teas, flutes of champagne and botanical gin cocktails compliment these dishes to perfection. Dinner at The Library The unique setting of The Library invites for a dining experience featuring seasonal classics, ensuring the quintessentially British experience need not end. 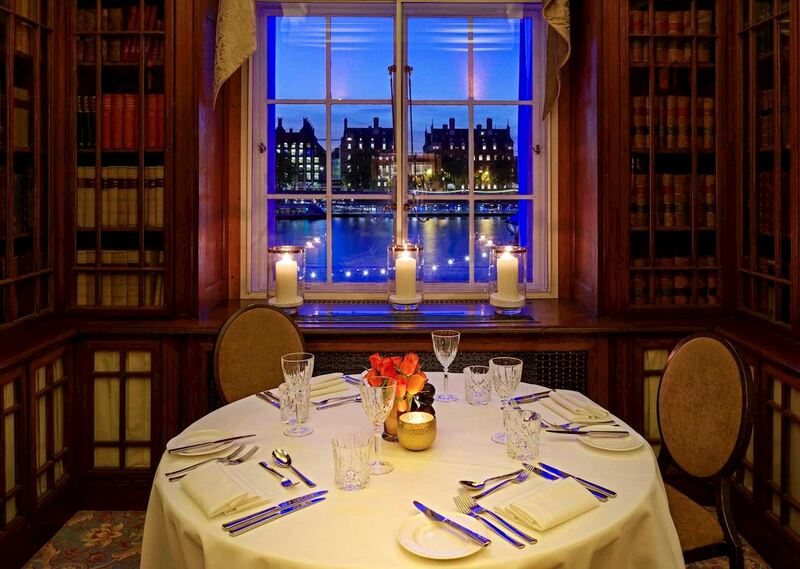 Relax over dinner whilst taking in the sun setting over the River Thames and Houses of Parliament with breathtaking views and savour some of the best seasonal British produce on offer.